The Dunlop Platinum 65 Deep Clean spray is the ultimate way to enhance and protect your electric guitar's aesthetics. The key ingredient is the Montan wax, which is an innovative plant based substance used for its glossy shine and ease of use. It also takes less time to dry than conventional waxes. The silicone free spray removes dirt from the surface of your instrument to be both visibly cleaner, and rid of the dirt too small to see. The Dunlop Platinum 65 wax goes a long way to protect and sharpen the looks of you electric guitar or bass. 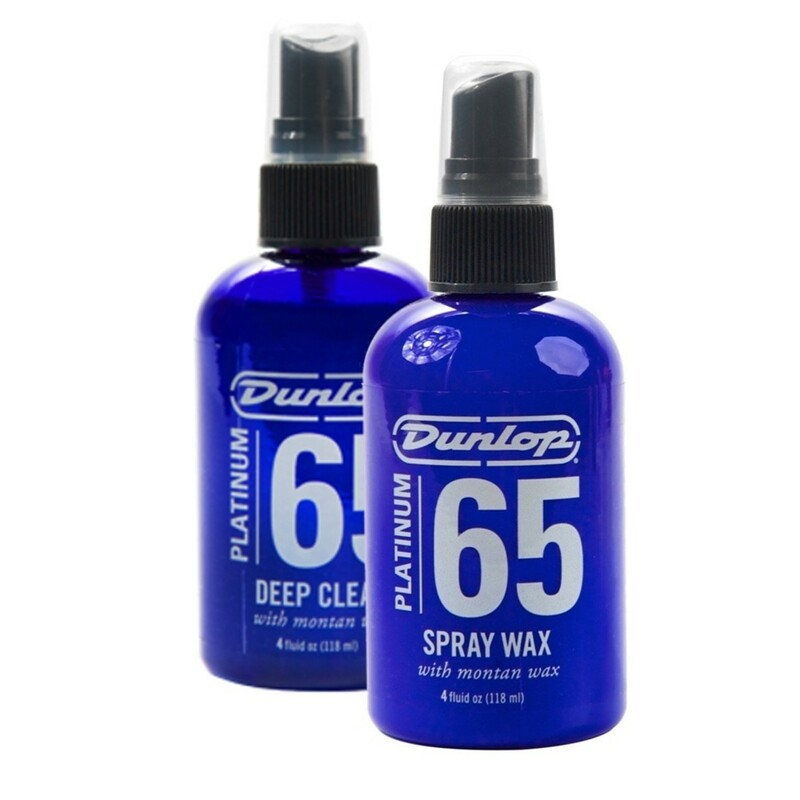 View Full Description Simplicity and ease of use are the factors that make Dunlop's Platinum 65 formula so effective. Simply spray a couple of pumps onto a cloth, and wipe onto your guitar's surface. Use the cloth's other side to buff, and your guitar or bass will look glossy and updated. The Platinum 65 wax also works on hardware, so you can make the whole of your guitar stand out for all the right reasons.